Do you look in the mirror and long for brighter and whiter teeth? Are you embarrassed to show your smile in photos, or even around friends, because of imperfections with your teeth’s size or shape? Have years of teeth grinding left you with visibly jagged teeth? Did you know that these issues, and many more, can effectively be corrected through cosmetic dentistry? With so many treatment options available, there is really no reason to settle where your smile is concerned. Instead, why not schedule an appointment with a cosmetic dentist who can help you achieve a dazzling smile? From simple teeth whitening treatment to porcelain veneers, there are a number of cosmetic treatments available to help enhance your smile’s natural beauty. In fact, many patients find that combining treatments as part of a total smile makeover is the best way to help create a more dazzling smile, while hiding imperfections. To determine which cosmetic treatments are right for you, it is best to schedule a consultation with your dentist. 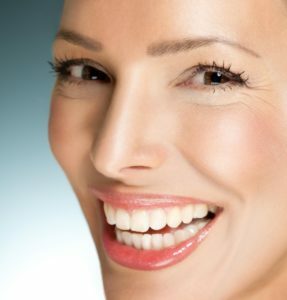 He or she can help devise a treatment plan that can leave you with a smile you’ll feel proud to show off.